God called another angel home. 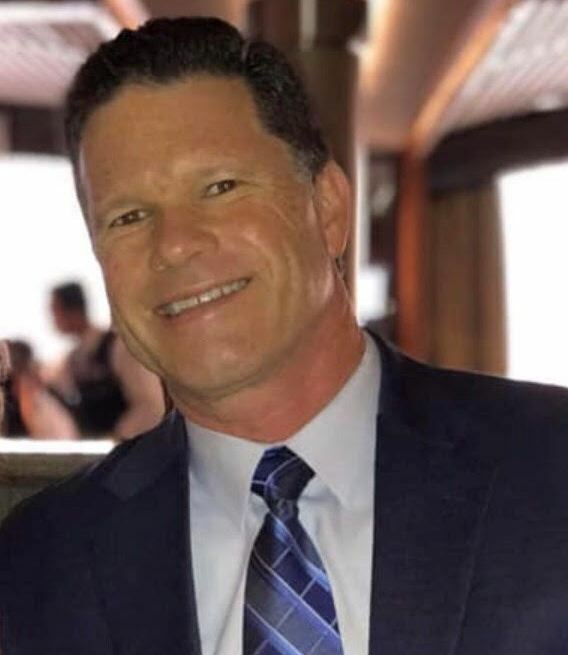 Lester Jerome Blackwell, III, “Les”, age 52, died suddenly on April 9, 2019 and will be missed by many. Les was born February 19, 1967, in Decatur, GA. At age 5, the family returned to South Carolina and settled in Irmo. Les graduated with the Irmo High School class of 1985, and earned the badge of Eagle Scout during these years. He later attended Auburn University, graduating in 1991 with a degree in Aerospace Management. It was his love of the skies that led him to obtain his pilot’s license, and he enjoyed taking his family and friends along on his flying adventures. After graduating, Les became President and CEO of Benefit and Investment Solutions, Lexington, and diligently served his clients for over 28 years as a financial advisor. Les began his lifelong spiritual journey at a young age, attending First Baptist Church of Columbia, and it was there that he made his profession of faith and was baptized. He was most recently attending Northside Baptist Church of Lexington, and was a member of the WordSeekers Lifegroup. Les carried his love of Christ into every aspect of his life, and served on the board of New Life Children’s Home, Honduras, often joining mission groups to that area. Les is survived by his father Lester Jerome Blackwell, Jr. (Jan Blackwell); his loving wife Denise Miles Blackwell; children Lauren Altman-Blackwell Brannan (Rob), Lester Jerome Blackwell, IV, “Jay”, Spencer Reagan Blackwell, Jeffrey Tyler Miles, Kacey Miles Seabold (Chad), Kelli Miles LaRoche; and 6 precious grandchildren. He was preceded in death by his mother, Loretta Long Blackwell. Many have said that Les served as the standard for who they hoped to be, and his selfless ways and servant heart will live on through a multitude of loving family and faithful friends. Visitation with the family will be 1pm-3pm on Sunday, April 14 at Barr-Price Funeral Home, Lexington, SC, with services to immediately follow at 3pm. Mr Blackwell will be laid to rest at Elmwood Cemetery, Columbia. In lieu of flowers, family and friends are asked to consider a memorial donation to New Life Children’s Home, Honduras. Please make checks payable to Missionary Fellowship in Many Lands (or MFML), P O Box 428, Springtown, TX 76082.